November 1 marks American Airlines’ 30th anniversary of service to the Bahamas. American began service to Nassau (NAS) on November 1, 1987 with a flight operated by Piedmont Airlines from Charlotte and currently offers more than 90 weekly flights from Miami (MIA), Charlotte (CLT) and Philadelphia (PHL), as well as seasonal service from Washington, D.C. (DCA) and Dallas/Fort Worth (DFW). The airline has more than 130 team members based in the country. As part of the 30th anniversary celebration, American will hold a reception with top customers, travel agencies and officials in the near future. 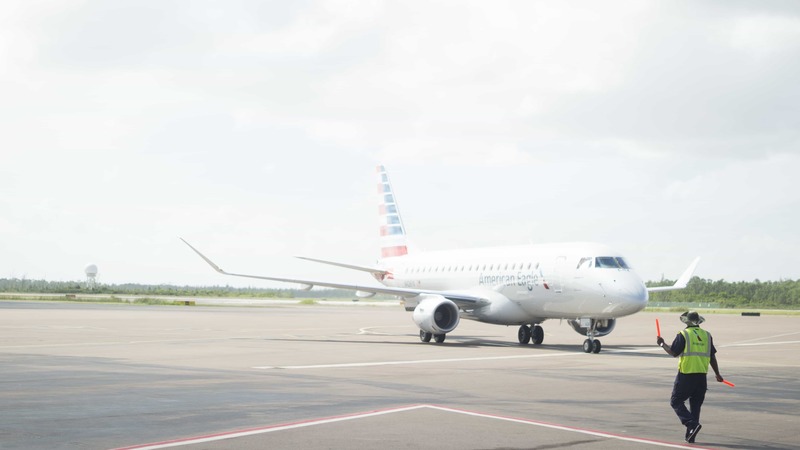 In addition to NAS, American serves five other destinations in the country: Eleuthera (ELH), Freeport (FPO), George Town/Exuma (GGT), Marsh Harbour (MHH) and San Salvador Island (ZSA).